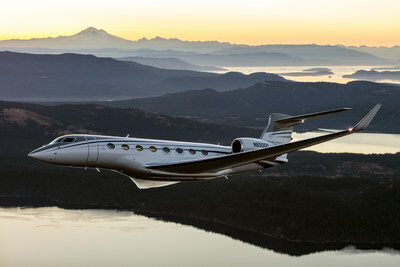 SAVANNAH, Ga., Feb. 19, 2019 /PRNewswire/ -- Gulfstream Aerospace Corp. today announced its ultralong-range Gulfstream G650ER again demonstrated its performance prowess in a city-pair record connecting Singapore and San Francisco — a distance of 7,475 nautical miles/13,843 kilometers — faster than any other ultralong-range aircraft. The G650ER departed Singapore's Changi Airport at 10:58 a.m. local time December 18, 2018, crossing the Pacific to arrive in San Francisco at 8:45 a.m., local time. Flown at an average speed of Mach 0.87, the flight took just 13 hours and 37 minutes. "The G650ER's unsurpassed speed and real-world performance allow it to easily tackle ocean-spanning routes like Singapore to San Francisco faster than any other business aircraft," said Mark Burns, president, Gulfstream. "To Gulfstream, leading the class means continually demonstrating to customers that their ultralong-range missions are possible at the fastest speeds. Even after more than 85 records, we will continue to illustrate this real-world performance."